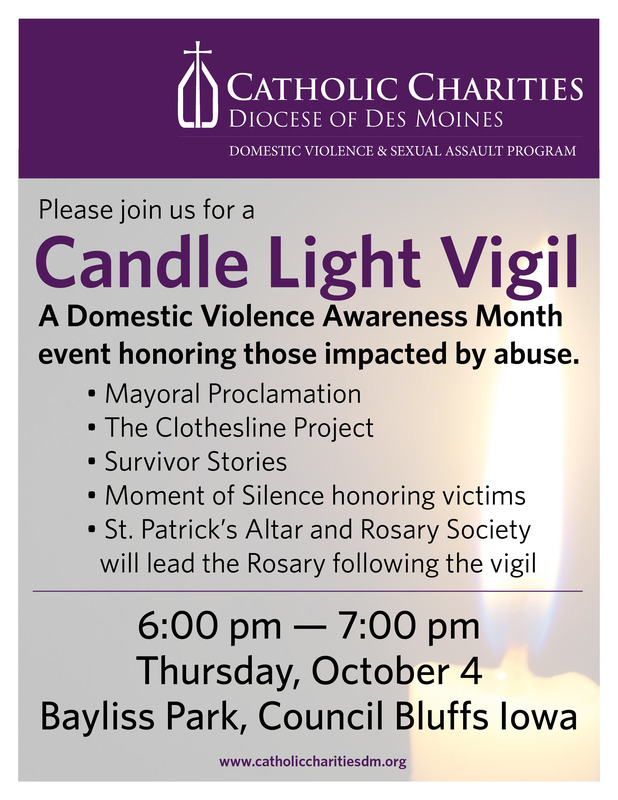 This year, the team of Domestic Abuse Advocates is planning to organize a Candle Light Vigil, the Clothesline Project and a Community Baby Shower to bring awareness of domestic violence in our community and the services offered by our agency. Join Catholic Charities Domestic Violence & Sexual Assault Program for awarness, assistance, and prayer for vicitims. Catholic Charities Domestic Violence & Sexual Assault Program is preparing for various outreach activities for Domestic Violence Awareness Month (DVAM) this upcoming October. This year, the team of Domestic Abuse Advocates is planning to organize a Candle Light Vigil, the Clothesline Project and a Community Baby Shower to bring awareness of domestic violence in our community and the services offered by our agency. The 2018 Candle Light Vigil will be on October 4th from 6-7 pm at Bayliss Park in Council Bluffs. 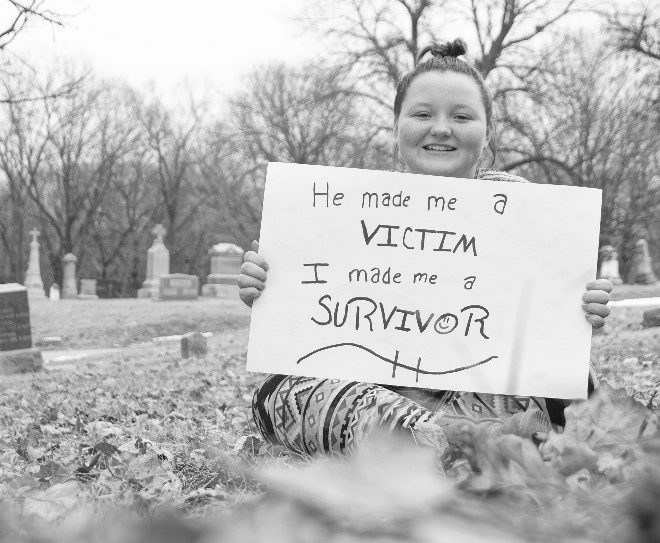 The event will offer survivor speakers, a mayoral proclamation, the Clothesline Project, and a moment of silence to honor those impacted by abuse. Catholic Charities is partnering with the St. Patrick’s Rosary Society for the event. They will lead an anti-violence rosary at the end of the program. 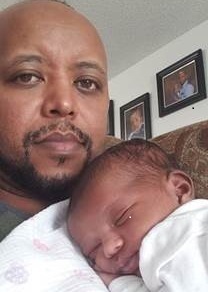 The Community Baby Shower will be held for the fourth consecutive year in Council Bluffs on October 17th from 4-6 pm at the Salvation Army on the Lakin Campus. This is a community-wide event for expecting mothers and families with newborns. The baby shower offers parents a variety of resources from community agencies, newborn baby items, and informational sessions. This will be the first year that the Community Baby Shower will be offered in one of our rural counties. This event will be held on October 24th from 3:30-5:30 pm at the Clarinda Pavilion. Our goal is to offer a similar event in Clarinda, where families have access to community resources, educational events, and newborn baby items they may need. The Clothesline Project that started on Cape Cod, MA in 1990 to address the issue of violence against women. It is a vehicle for women affected by violence to express their emotions and experience by decorating a t-shirt. The t-shirt is then hung on a clothesline to be viewed by the public as a testimony to the issue of violence against women. If your congregation or group is interested in hosting a drive for baby items for this event or would like to volunteer in any way, please contact Katie at 712-256-2059 X 103.